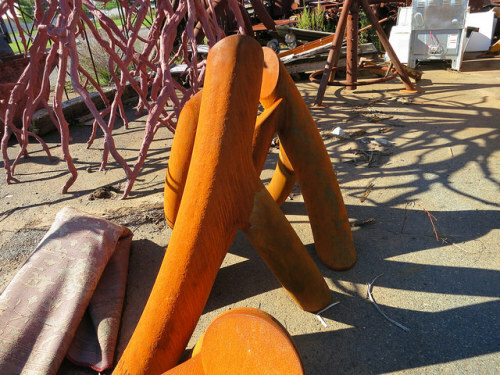 Brilliant Rust by Steve Tobin’s Sketch Pile, Quakertown, PA. Photo by Margaret Almon. When the Michener Museum offered a tour of artist Steve Tobin’s studio, I signed up. He’s in a warehouse in a Quakertown, PA industrial park. 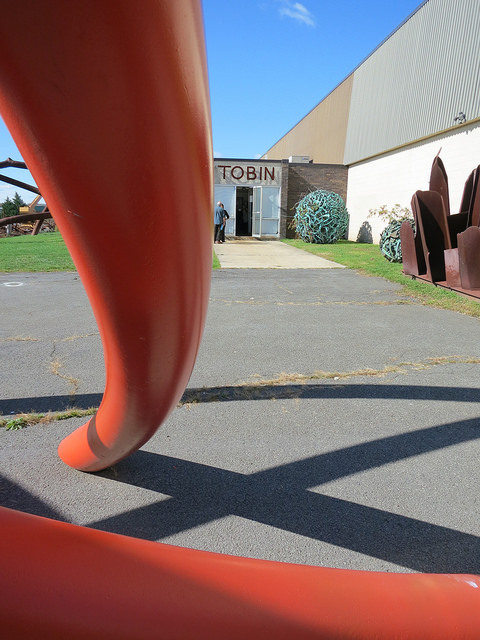 After walking through the inside, and being surrounded by manifestations of Tobin’s creativity on a colossal scale, we went outside into the sunshine and toward the Sketch Pile. The rust on the piece above was intense. Shadow play was spot on. 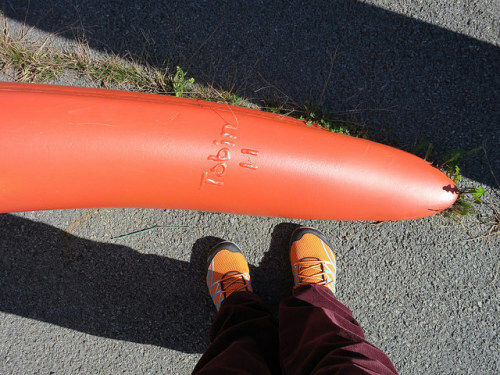 Shoe Selfie with Steve Tobin Sculpture in Orange. Photo by Margaret Almon. Wall of Bronze Pizza Sculpture by Steve Tobin. Photo by Margaret Almon. 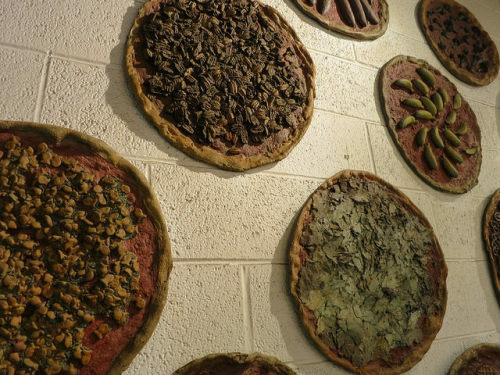 Right before we got to the exit, there was a hallway of cast bronze pizzas, which suddenly reminded me of the Karlton Cafe in Quakertown, which has some of these on the wall. Tobin said he finds food inspiring. Stratoz is up to 60 guests that he’s made pizza for in 2014, and that has been a pleasure to get to know people white eating homemade pizza. 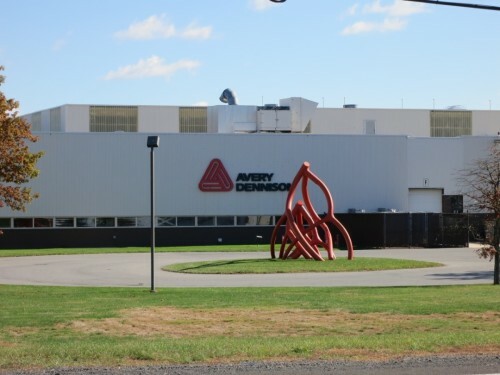 Across the street from the studio is another sculpture in front of Avery Dennison. If you have ever used a label, you’ve probably encountered Avery. The clip logo was designed by Saul Bass in 1975 for Avery, and it looks good with Tobin orange. I enjoyed this little art tour! Pizza and all. It’s so nice to get out and about with you. Lovely little tour. Inspiring. Thank you.